You can also find the issue in most of UK's leading bookshops and WH Smiths. Another tour of Raji's home today on Dering Hall. Lots of details on the design, the furnishings, art and of course the murals! Be sure to read the whole story here. Check out the fabulous twelve-page spread of Raji's home on Interior + Design (Russia) in their October 2014 issue! We knew this was coming as they interviewed Raji last summer but we just got the copy. Better late than never! Check out Raji's dining room featured in the April issue of Architectural Digest - Germany! In news stands now. Fiercely fearless - Check out the cool feature profile on Raji's work by the Swedish site - The Reporter! Check out the full story here. Thank you Plastolux for profiling our work. 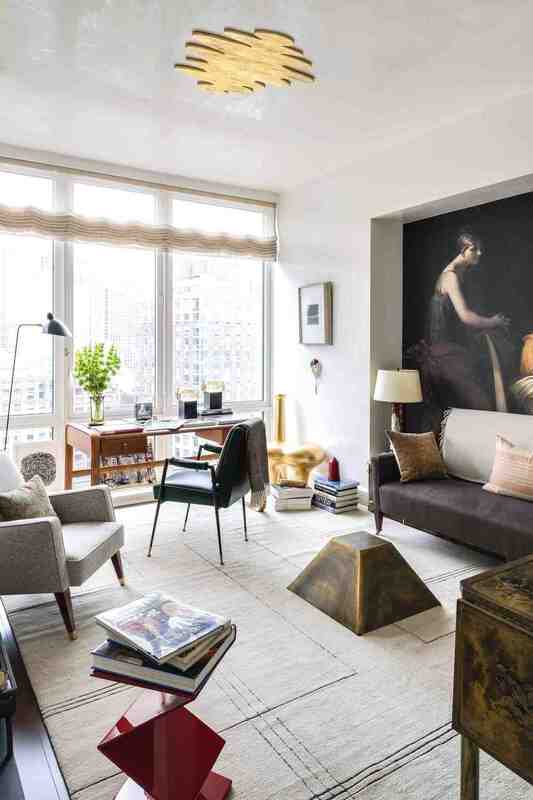 Tyler is right, we love mixing art and furniture from different eras and countries! Check out the full post here. Check out Raji's favorite room from her portfolio featured in Washingtonian! Click here to see why the room is a favorite! We are thrilled and honored we made the LUXE magazine 2015 Gold List! Thanks to editor-in-chief Pamela Jacarino. Check out their full list in their winter issue!